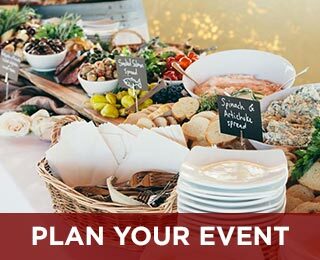 Let us help you plan your event. Fill out as much of the form below as you can and one of our event planners will prepare a proposal for you within the next 72 hours! Your guest count at this point is just an estimate. We recommend aiming high as it is always better to reduce numbers than to add when working out your budget. Final guest counts for On the Go Catering can be updated with 48 hours notice. Final guest counts for Full Service Events are due 3 weeks prior to the event date. Event times will help us understand the flow of your event to adequately quote for staffing. Our staff typically arrive 2 hours prior to guest arrival to get everything set up, and regarding departure... that depends on how much there is to do post the last guest leaving. Event departure can range from 30 min. to 2 hours after clean up begins. Fill out what you can and we can finalize details as we get closer to the event. In the text box below, tell us about any little bites that you would like to see as part of your event. 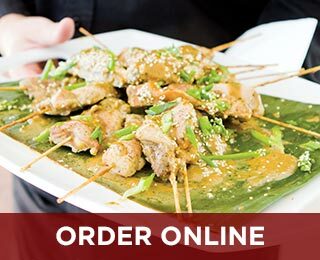 Whether you are interested in having 2 or 3 bites to get the party started, or if you are looking at providing little bites in lieu of dinner we can help guide your way to making sure you have just the right amount. In the text box below tell us about what you would like or NOT like on the menu. MSC prides itself in serving local, fresh, wild and seasonal as much as possible so if you don't have any idea of what you may be interested in, let us know that too and we'll create a starting menu with hose standards in mind. Wedding cake? 3-d masterpiece specialty cake? Maybe cheesecake shooters or even the simple but always elegant bar cookie platter. Let us know what your sweet tooth is thinking. Wine, beer, spirits, basil lemonade, coffee and more. What are you thinking about regarding all the wet stuff? Our standard attack for every event is to cook on site, provide 1 server for every 30 guests, and send 1 bartender for every 100 people. 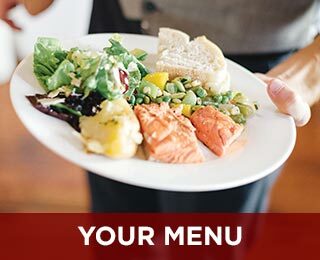 Different styles of service, venue and logistics, guest count, menu selection, and various other factors may impact your staffing needs. Let us know if you have any specific requests. Have you thought about adding some floral to your event? What about centerpieces? Tell us if you would like one of our floral designers to get things started for you! We source all of our rentals through local third party vendors. From tents, tables and chairs, plates and glassware, linens and even bouncy houses, we are the source for getting just about everything you need. What type of rentals are you interested in? We love to understand the spirit of all of our guests' events. Are you visualizing burnt orange and browns, lime green and purple, or clean crisp white on white? Are you feeling casual or formal, black tie or khakis? Band or DJ, inside or outside, NW or city modern? Have Any Other Details You Want to Share?